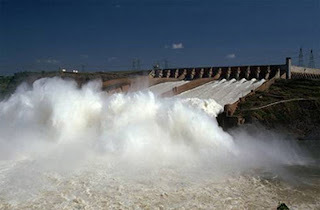 Tenaga Nasional Bhd (TNB) Remaco, the operator of Pakistan's first private sector hydroelectric power scheme, has tapped IBM (NYSE:IBM) to help meet the business challenges of running the $235 million plant. TNB Remaco chose IBM software to help streamline business operations. Currently, the total power generation capacity of Pakistan is 23,538 Mega Watt with energy consumption having grown by almost 80 percent in the last 15 years. The Pakistan Water and Power Development Authority (WAPDA) forecasts the country’s electricity demand will increase to around 40,000 MW by 2020. TNB Remaco - Operation and Maintenance Contract Partner with builder Laraib Energy Limited - recently completed the 84 MW New Bong Hydroelectric Power Complex on the Jhelum River in Azad Jammu and Kashmir. After going live at the end of March 2013, the plant is expected to help meet Pakistan's growing energy needs by adding an estimated net annual of 540 GWh green energy to the national grid, and enhancing the hydro power generation capacity of Independent Power Producers (IPP) by 40 percent. The addition of this power source will be able to provide cheaper electricity to an estimated 60,000 homes in Pakistan. ‘To be a global one-stop service provider for power-related works, we have to continue serving our customers with high-end quality services through transformational use of technology. IBM’s solution will play a vital role in running the systems efficiently and helping pave way for rapid and full scale development of Pakistan’s hydro-power potential’ said TNB President Che Khalib. TNB Remaco selected IBM Maximo asset management software to automate its manual systems in order to optimize efficiencies while helping to scale the business to meet increased resource demands. Previously, finalizing approvals and searching for timely, relevant information was a big task as data was scattered across multiple systems. The IBM software provides TNB Remaco’s power plant with a single, consolidated view of all their energy data as well as asset and service management data, enabling employees to make better informed decisions about the plant's operations. The solution will also assist in planning inventory to meet precise maintenance demands, making the correct parts available at the right location whenever needed. ‘The hydropower project operated by TNB Remaco will add a sufficient amount of energy to the region's current energy production capacity. IBM’s solution not only equips TNB Remaco to automate their business process and better manage resources, it will also create an interconnected system that helps plant operators run a more efficient energy complex’ said Adnan Siddiqui, Country General Manager, IBM Pakistan and Afghanistan. With global electricity demand expected to grow more than 70 percent by 2035, hydropower, along with other renewable energy sources will become critical. By 2035, renewable energy will account for almost one-third of total electricity output. Helping Pakistan tap into new energy resources underscores IBM’s commitment to helping companies across the globe operate more efficiently as they work to meet rising energy demand.